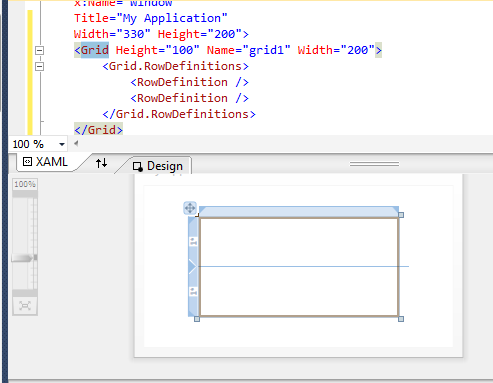 You can create a Grid element by editing XAML directly, but you can also create the Grid and set its properties from within the designer in Visual Studio. Start by finding the Grid control in the toolbox. 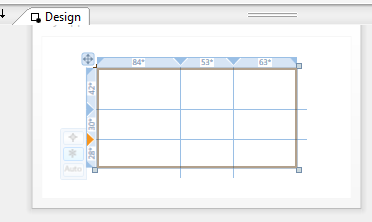 Double-click the entry in the toolbox, or left-click and drag it onto your design surface, to create a Grid element. 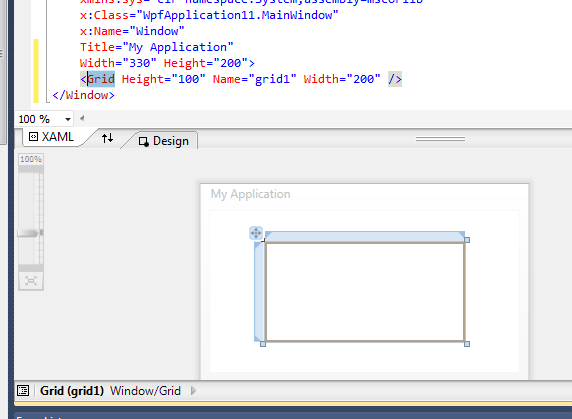 You’ll see the Grid show up in XAML and in the designer. You can add rows and columns from within the designer by clicking on an empty area of the blue borders at the top and left of the Grid. Small blue arrows will indicate the rows/columns added. You can change row/column sizes by dragging the blue arrows. 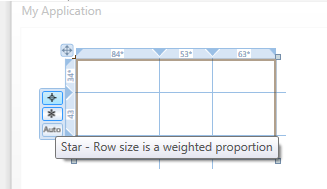 You can also change the GridUnitType of a row/column, dictating how it will calculate its size. 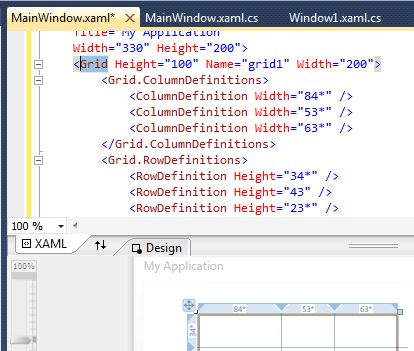 Everything that you do will also be reflected in the XAML.